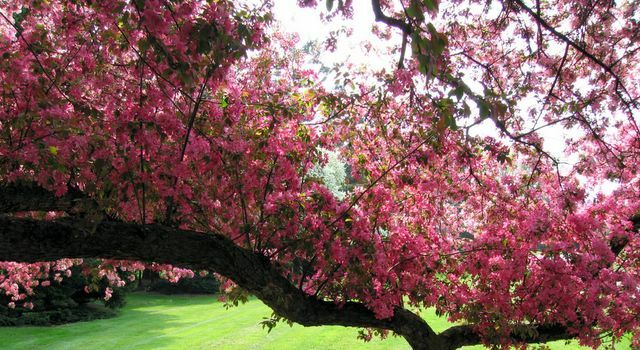 Secrest Arboretum in Wooster Ohio has the largest collection of Ornamental Crabapples in the world. This one: Malus rosseau is one of my favorites. Planted in 1954 the color on this tree is just outstanding, and the fragrance will just about knock you over. Truly a gorgeous tree. Secrest is a great place, for research, study, and the ultimate form of how trees and shrubs reach their ultimate sizes and shapes. After a visit here it is easy to see why I shake my head so often at how close plant material is shoved up next to a house. Secrest is definitely worth the visit. Previous PostPrevious My website is up!! !